Dhivan Thomas Jones was brought up in Somerset, England. He went to Lancaster University where he took a BA in Religious Studies, an MA in philosophy, and a PhD in the philosophy of love. 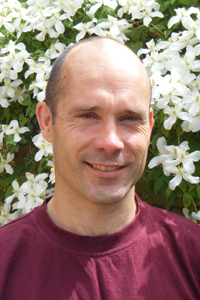 In 1992 he started considering himself a Buddhist, and in 1997 moved to Cambridge to live and work with Buddhists, first in Windhorse:Evolution, a team-based right livelihood business, and then at the Cambridge Buddhist Centre. In 2004 he was ordained into the Triratna Buddhist Order, receiving the name ‘Dhivan’, meaning ‘thoughtful’ or ‘intelligent’. He took yet another degree, this time in Sanskrit and Pali, at the University of Cambridge in 2009. 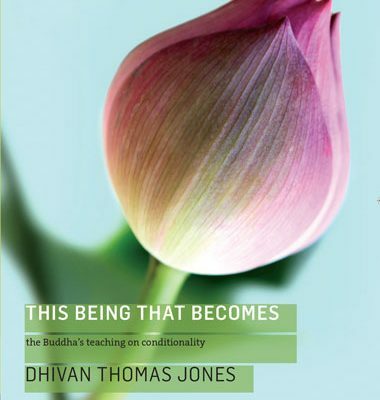 Dhivan has written This Being, That Becomes: The Buddha’s Teaching on Conditionality, published in 2011 by Windhorse Publications. He now teaches courses in the Arts for the Open University as well as continuing his own research and writing on early Buddhism. 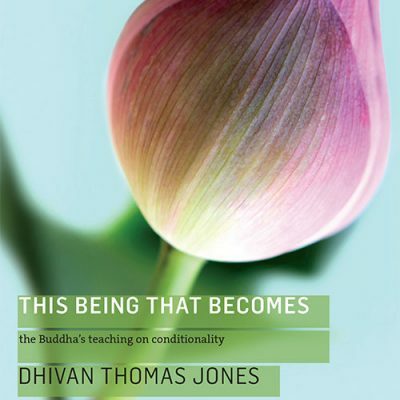 Dhivan Thomas Jones is also a published poet and novelist, as well as a regular contributor to Urthona, the magazine of Buddhism and the Arts. He has a website at www.dhivan.net and lives in Bristol.